Today's "I Want to Be" series features Julie Capaldi, who is a Pennsylvania homeschool evaluator. She received her degree in education in 2003 and has been homeschooling her five children, ages 16, 8, 7, 4 and 2, since then as well. She's been working with home educating families for over five years. Find out how to connect with Julie at the end of this article. 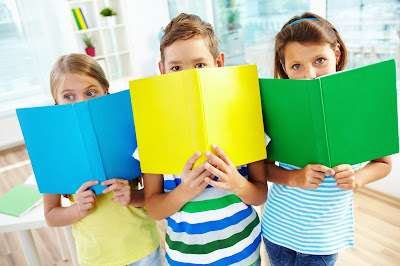 Editor's note: Pennsylvania requires that a homeschooling family submit a portfolio at the end of every academic year that includes attendance records, curriculum log, state testing, and a collection of samples from the subjects taught that year. Julie evaluates these portfolios and then writes a report stating whether or not learning took place that year. She also provides curriculum consulting, mentoring for new and current homeschool families, and proctoring for state exams. I've been providing evaluations for over 5 years now, but made it officially a business in early 2012. I wanted to be a blessing and benefit to home educating families state wide. Some families are unable to travel for evaluations, such as medical needs or only 1 vehicle, so I offer to come to their homes. I also wanted to be accessible long distance. So I also offer distance evaluations to all families in Pennsylvania. My goals are to provide excellent evaluations and other services to families at a family friendly price. For most of the year, I am part time. But from May - July I am definitely full time. I have a Facebook page, a website and advertise at Pennsylvania homeschool conventions as a vendor. And most importantly, by word of mouth. Meeting home educating families from all over the state and seeing what their educational style is. "How do distance evaluations work?" I can be a resource for families statewide by having families either e-mail me or mail me their portfolios. Then I evaluate the portfolios and send them back to the families. That evaluators are strict. My clients and families are always so anxiety ridden and worried when sending in or meeting with me for their evaluations. I am very down to Earth, relaxed, and am here to be an asset to families. Getting clients take time and a lot of self promotion. You must also make sure you comply with all state laws or your evaluations won't be legal. This will not only ruin your reputation and trust level these families have for you, but it can get you and the families in trouble. 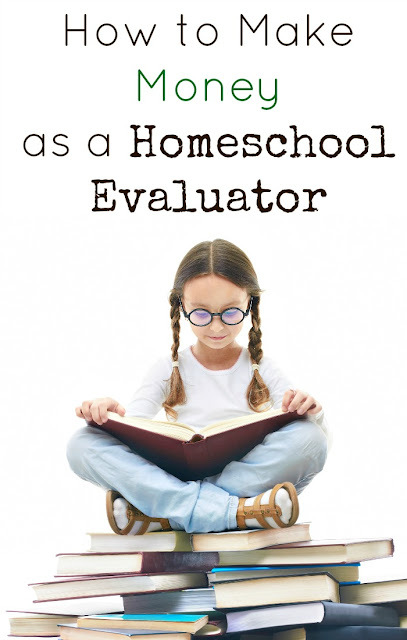 Making sure you are legal to evaluate based on the standards Pennsylvania (or your own home state) has set for home education evaluators. Cathy Duffy's book, 100 Top Picks For Homeschool Curriculum: Choosing The Right Curriculum And Approach For Your Child's Learning Style. It is essential for all home educators, especially those first starting out. It will give you an easy to follow guide on how to choose the best curriculum based on your wants and needs. You can learn more about what Julie does at her website. You can also connect with her on Facebook. Julie is my main support system since I started traditionally homeschooling my children. I would never have thought I was capable if not for all the encouragement and constant help she gives me. Julie Capaldi was very helpful when I was considering homeschooling my daughter. She sent me multiple resources, curriculum resources, laws in my state, examples of how to build a portfolio and so much more. She was able to answer all of my questions and calm my anxieties about my pending decision. I would recommend her to any homeschooling family! She is a well balanced, well organized, kind person. Julie has done distance evaluations for my kids the past few years. She is always detailed and personal in the evaluation report. She is a wealth of knowledge about curriculum and resources. What ever your style in educating your children is, Julie is a great support person!